See the road ahead: This D-Skwal helmet comes with an anti-scratch visor as well as a Maxvision Pinlock insert. The pinlock stops your visor steaming up and the Maxvision really gives you the widest view of the road. 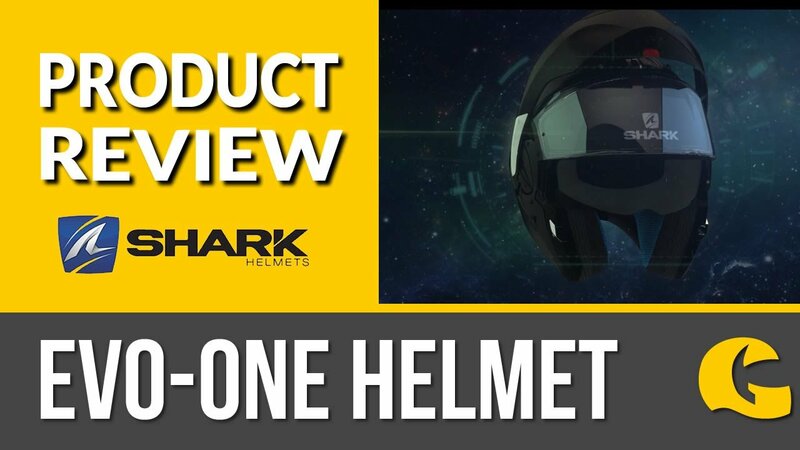 There's even an integrated drop down visor for when the sun is at it's lowest.Plenty of other features include: Thanks to the "Autoseal" system, the visor is flattened to the helmet to offer better soundproofing and keep out the wind and rain. It's well ventilated and extremely stable thanks to the aerodynamic spoiler. The visor is quick release and there's optimal comfort features for people wearing glasses. Just like many of the Shark helmets the D-Skwal is Sharktooth ready.